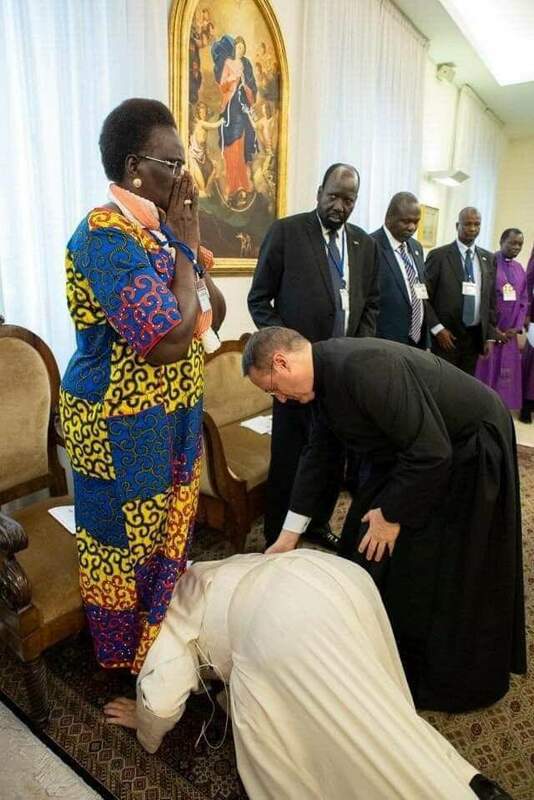 The supreme pontiff, Pope Francis again shows the world how it’s done by kissing the feet of the southern Sudanese leaders in a bid to plea to them to uphold the peace accord they signed in the Vatican. 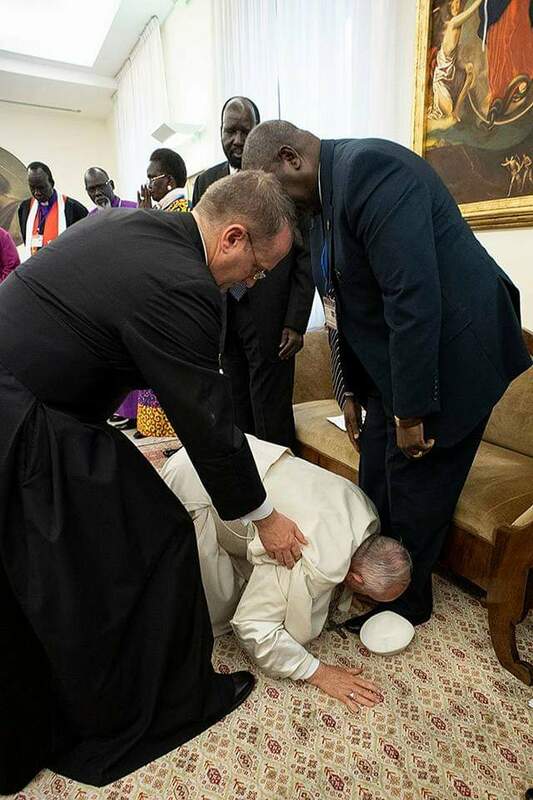 This gesture from the 82year old Pope left most of the visitors astonished. 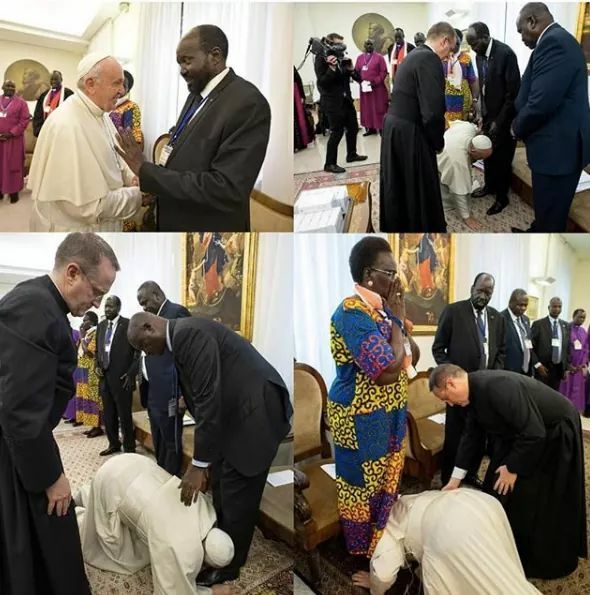 The Pope appealing to South Sudanese President – Salva Kiir, Vice President-designate – Riek Machar, and Rebecca Nuandeng De Mabio. The Pope said: "To the three of you who signed the Peace Agreement, I ask you, as a brother, remain in peace." Watch a little video clip below…. This tweet below touched me….